To make it easier than ever to donate this year, we are planning on having several donation stations throughout the festival grounds. The primary donation station will be the Terrapin Foundation booth located in between the main concert field entrance and Green Vibes stage entrance, near Howe Monument. This location will be open daily Thursday through Sunday. Assistance via golf cart will be available for those that have large donations. In addition to the primary donation station, on Thursday and Friday we will be collecting items near the location that vehicles are searched prior to entering the festival. We will also be collecting items at the VIP and Day Entrance and Camping Headquarters. 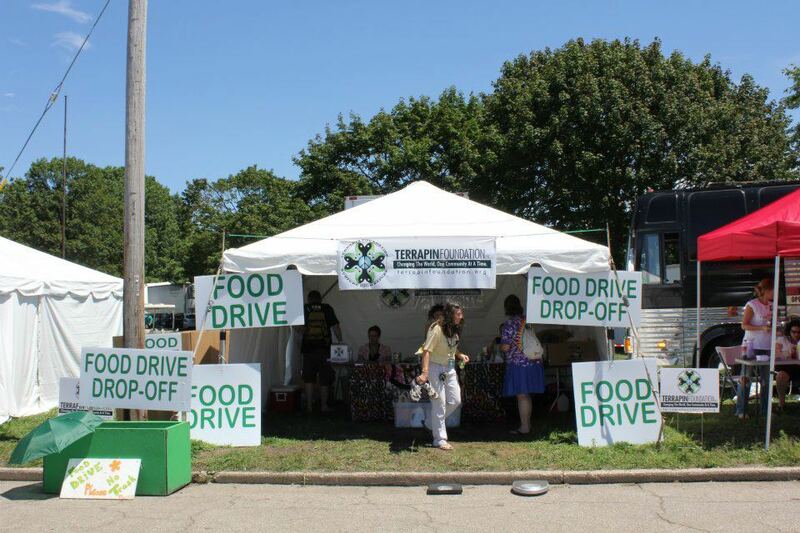 There will be a roaming food drive golf cart collecting donations throughout the weekend.